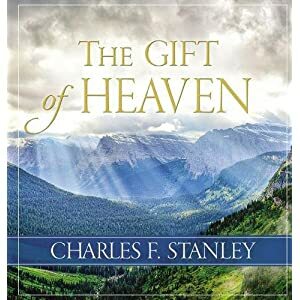 “Our bodies are going to be transformed like the body of Christ,” the bolded saying is stated in Charles F. Stanley’s book, The Gift of Heaven. At one-hundred-and-sixty pages, this small hardbound devotional targets those who want to focus and learn about Heaven. Using mainly the New American Standard Bible, also referenced are the ESV, NIV, NKJV, NLT, and TLB versions. After a table of contents, ten chapters cover the topic of eternity in glory for those who believe in Christ Jesus. Containing ten sections that are five to twenty pages long, each topic about Heaven includes the pastor’s thoughts and suggestions based on Bible application, ending with promises that have written out Bible verses. Spread throughout are beautiful photographs of land, sky, sea, and plants with no humans in them. The subjects cover Heaven as a gift, Jesus’s promise, a glimpse of eternity, what it will and will not be like, being in the presence of God, seeing those we love again, having ultimate fulfillment, Heaven’s possibility, eternal security, and the best is yet to come. I appreciate devotionals that have little information about the author but focus on God, especially when it relates to Heaven. The photographs are stunning, often overlapped with a saying in a deep blue font. Including written out promises of Bible verses is thoughtful. Those who do not have a personal relationship with Jesus Christ may not want to get a book that concentrates on going to Heaven. The eternal plan of salvation is not written out in detail until chapter eight and Hell is not noted. Some may find the information having little depth to be used as a study book. With Heaven as the main topic, the book would be more useful for non-believers if the plan of salvation were mentioned at the beginning. I wish more Bible verses were added. If you like this author and want a book for a new believer who does not know some of the rudimentary facts regarding Heaven, this would be a nice gift. I am under no obligation to review this complimentary book. 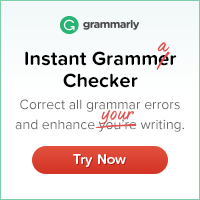 GRAMMARY was used to check for errors in this review.